One day last week, I was running around all day and too busy to go shopping or cook. I didn’t even have much time to eat, either. Koreatown is normally my to-go area for a quick nutritious meal. 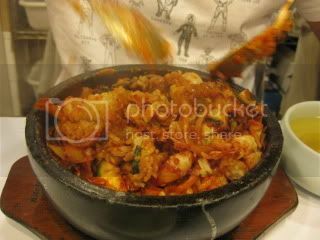 So, I ended up having both lunch and dinner at my regular spots in Koreatown. Sundubu lunch at Olympic Cheongukjang. 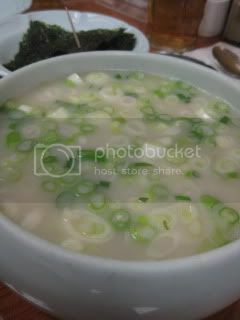 Their sundubu is very simple with no meat or seafood. It was just tofu and vegetables inside. It was so complete and tasted wonderful. I liked it very much. 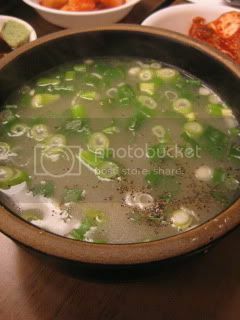 Jason had sul-lon-tang (slow-extracted beef soup with noodles). Another very good dish. 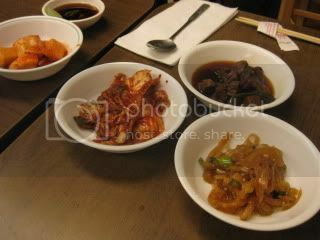 Dinner was at Seongbukdong on 6th Street. 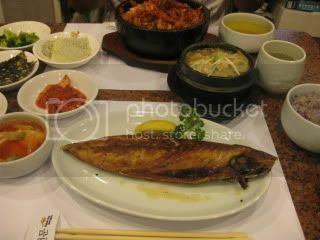 I tried their grilled mackerel with bean paste soup. Jason had octopus dolsot bibimbop. Both were really good. 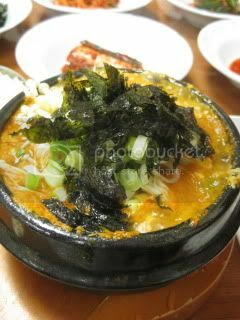 On the night I returned from DC, Jason picked me up at LAX and we drove straight to Mountain Cafe, which we go to occasionally for samgyetang (whole stuffed chicken and ginseng soup) and other soup dishes. 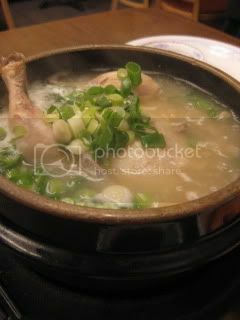 I had my usual samgyetang, and Jason had oxtail soup. 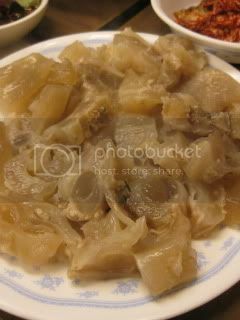 It was an unique presentation because the gelatinous oxtail parts and the soup were served separately. The soup was like drinking collagen. Very nice. 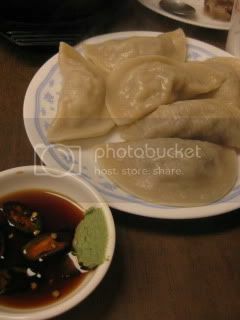 Mandu dumplings were very large and very rustic style. All these places are small diners. No alcohol is served or byob is allowed. So, they are indeed perfect places for a quick bite of nice healthy food.